@DanSheldonCSN was ALL. OF. US this weekend when he was sat next to Jeff Bezos, founder of Amazon, at a restaurant in Seattle. There is something fundamentally wrong when thousands of Amazon workers are on food stamps while their boss, Jeff Bezos, is the richest man in the world. 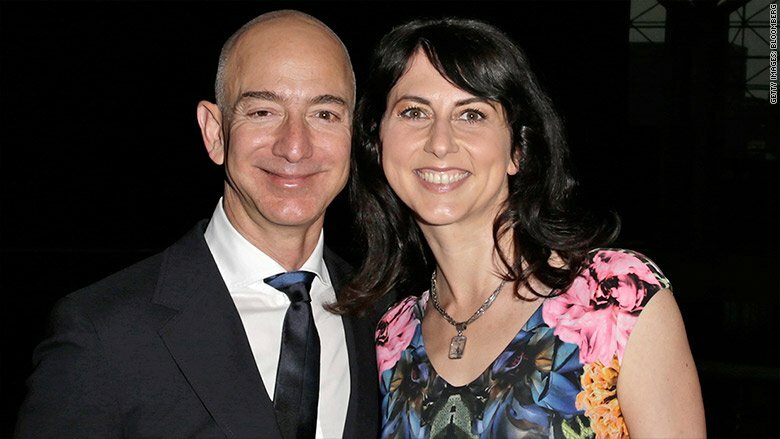 Amazon founder Jeff Bezos' wealth increases by $275 million every single day. Meanwhile, Amazon workers have to rely on food stamps and public assistance just to survive. This is what a rigged economy is all about. While Jeff Bezos spends $12 million renovating his 5th mansion, this Amazon employee is forced to live out of her car. Amazon just announced that they made $2.5 billion in profits last quarter. Why does Jeff Bezos still refuse to treat his workers with respect and dignity? You want to talk about what it means to be anti-wealth? Jeff Bezos capturing $133 billion in wealth while paying his workers starvation wages for backbreaking work is anti-wealth. Last week I introduced a bill to give billionaires like Bezos and the Waltons a choice: pay workers a living wage, or pay for the public assistance your low-wage workers rely on. "Put the customer first. Invent, and be patient." I guess the brave new world is one where everyone's job is either "student" or "teacher", while all of society's actual output is produced by robots owned by Jeff Bezos, whose head is kept alive in a jar like in Futurama.